After a comparatively brainy read, I felt like picking up something a bit quicker and lighter. 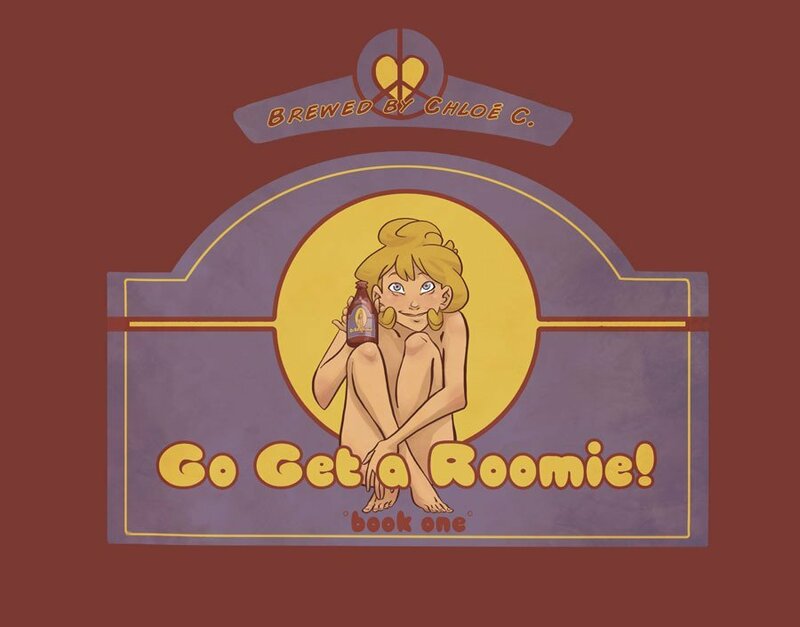 Go Get a Roomie certainly fit the bill, and it has been so long since I was up-to-date with the webcomic that felt like a nice way to reacquaint myself with the series. 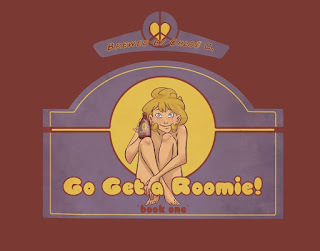 Go Get a Roomie follows a young woman known only as Roomie, who lives by couch-surfing with friends that she meets at her regular dive, Jo's Bar. When heading back after a few too many beers, she accidentally finds herself crashing with a lazy introvert named Lillian. Finding Lillian to be unaffected by Roomie's charms and tendency to initiate physical intimacy, Roomie finds herself confused, but oddly endeared by her strange new roommate. I'd forgotten just how meandering Go Get a Roomie was in the early stages of the comic. There are a few extras in this volume, mostly artwork and guest comics, but there was a little tidbit in there stating that Lillian was never intended to be one of the main characters, instead just being another of Roomie's friends from the bar. It kind of illustrates what I think could put some people off, which is that the plot is obviously written without an overall plan. The first couple chapters in particular can seem disjointed, with some strips feeling episodic even within their own chapter. It does start to feel a bit more coherent, around about the time that the art starts to clean up as well weirdly enough, after Lillian starts accompanying Roomie outside her house though, so if you have the patience you would be rewarded for sticking around. Honestly though, even in the really disjointed stuff at the beginning, there's a lot of good character work, with the two mains being utterly charming in their own diametrically opposite ways. And it's kind of nice to see loads of queer characters just kind of doing their thing, whatever that may be, instead of the tired "coming out" stuff that seems to be so prevalent in LGBT narratives.